So amazing! 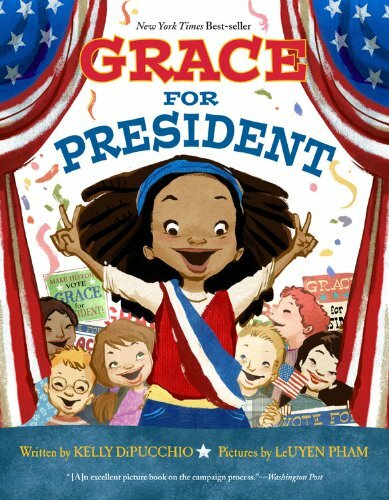 The Center for American Women in Politics at Rutgers University, in conjunction with their Teach A Girl to Lead project, has sent copies of GRACE FOR PRESIDENT to every woman governor, member of Congress, and state legislator in the country (about 1900 in total) encouraging them to read and share the book with their local elementary schools during a 2016 campaign focused on Presidents' Day and Women's History Month. To celebrate Presidents' Day, the women of the Oregon House Democrats took part in a day of reading G4P.